Back in 2017, the FCC completed its grand plan to rethink TV frequencies. As a result of improvements in technology, it was no longer necessary to have so much empty space between channels. So, the FCC reasoned, we don’t need as much of the radio spectrum devoted to TV. Even the largest markets have 25 or so broadcast stations, so why have 50 channels? In order to keep from creating mass chaos, they decided that stations would move in waves. (Find out a lot more detail here.) In many cases, all the stations in one market would move within a few weeks of each other, but in some cases it’s a drawn-out process that could take months. 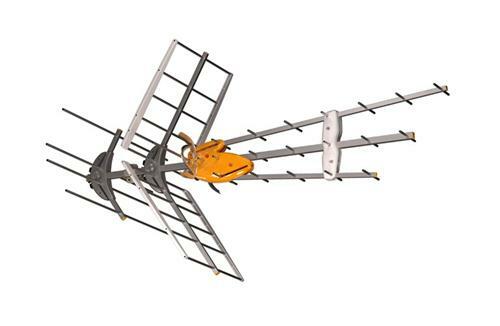 If you use an antenna to watch live TV, you’re going to want to scan for channels now and every month or so until you’re sure all the channels in your area are where they need to be. Unfortunately it’s different on every TV and every streaming device. However, I can give you some basics that will help you find the right options. Most of these steps will apply to TVs, satellite boxes and streaming boxes. Because it’s different on every device, it’s impossible to give you precise instructions. This seems like a no-brainer but it’s very easy to be using the wrong remote. If you normally use the DIRECTV remote to turn on your TV, you’ll want to use the TV’s own remote instead. If you are using a tuner box instead of your TV, you’ll need that device’s remote instead. If it’s an Android TV based unit like the Channel Master Stream+ or AirTV Player, you would use that remote. In the case of the (Black) AirTV streamer, it’s done in the app itself. On TVs and satellite systems you’ll press MENU to go into the setup screens. On Android TV-based systems, press the home button, you’ll usually have to arrow down until the gear is highlighted, and select that. Or, you may need to launch your live TV app and look for a settings option there. On the (Black) AirTV streamer, launch the app on your mobile device and tap the menu icon at the upper left. Step 3: Look for the right setup option. This is where every device is different. You’ll probably need to poke around a bit. Look for something that says “Antenna Setup” or “Off-Air Setup.” It could be under “Initial Setup” but be careful because you don’t want to completely reset the device to its original state. You’ll probably find a setting that says “Reconfigure” or “Rescan.” You may see a setting that says “OTA/Cable Setting.” You shouldn’t need to touch that. When you do rescan for channels, it generally takes about 5 minutes to look through every channel and find what’s available in your area. You shouldn’t need to reset recordings. All your recordings should follow the rescanned channels. If your local channels come to you without an antenna, you don’t need to worry about any of this. Someone, somewhere is doing it for you and you don’t need to worry about it at all. Even if you see a message on your screen saying you’ll need to rescan, you won’t have to do a thing. How often should you rescan? Some articles will tell you every month is the right number, at least until the summer of ’20 when the whole “repack” is over. I think that’s a bit of overkill. If a channel you liked recently disappeared, then rescan. Otherwise, I think every three months is a good rule of thumb. HD-BLADE Generation 1 vs. Generation 2: Is newer better?